Irena’s daughter-in-law, Iwona, and her granddaughter- Agnes. Agnieszka is the lovely granddaughter of Irena Sendler and was present at several events during the last Life in a Jar trip to Poland. 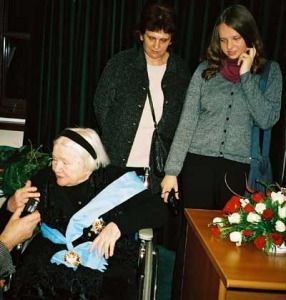 She was so special to her grandmother and is always a part of the ‘Irena Sendler Award to Teachers’ ceremony. She is the same age as the girls who founded Life in a Jar.